Simpson Heating & Air is proud to serve the Newcomerstown community! 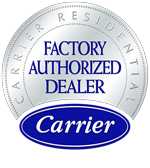 About Newcomerstown, OH - Happy to be your hometown Heating & Air Conditioning Contractor! Newcomerstown is an Ohio village located in Tuscarawas County, and it is situated about 85 miles northeast of Columbus. Previously the largest of the Lenape villages along the Tuscarawas River, Newcomerstown is now home to approximately 3,900 residents. This village is known for being the home of Cy Young, the famous baseball picture, and it is also known for its numerous Bigfoot sightings near the community’s electrical plant. The weather in Newcomerstown is typical of a humid continental climate zone, and residents often enjoy outdoor activities during the hot and sunny summer months. However, winters are often cold and quite snowy. There are several unique attractions located in the Newcomerstown area. There are a variety of museums located in the region, including the Olde Main Street Museum and the Temperance Tavern Museum. 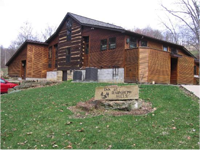 Lake Lila Camp is located in this community, as the Newcomerstown Village Pool, which is a popular destination for families in the summer. Other notable attractions are located in nearby communities like West Lafayette, including Raven’s Glenn Winery and the River Greens Golf Course.